Venom’s official MPAA rating has been revealed, and the Spider-Man spinoff will be rated PG-13. While this news has disappointed some fans who hoped for an R-Rating, this decision will keep the door open for Venom to potentially be integrated into future Marvel Studios projects or Spider-Man films. Venom will open in theaters on October 5th. Director Dean DeBlois has revealed new information about How to Train Your Dragon: The Hidden World. 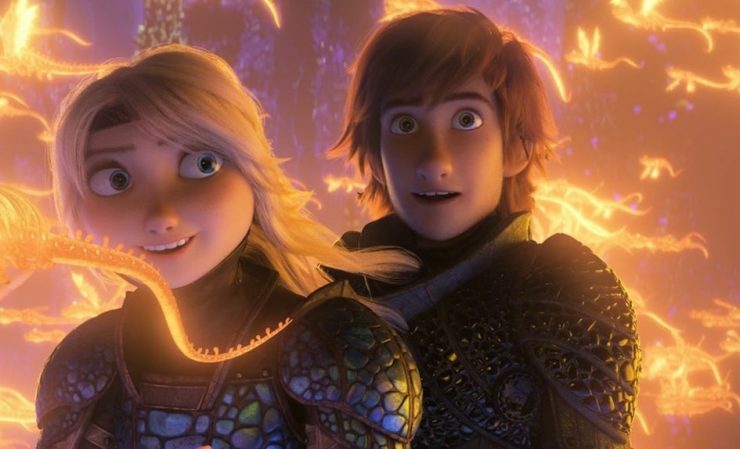 This third and final film in the animated fantasy franchise will feature flashbacks and flash-forwards as Hiccup the Viking tells the story of how dragons disappeared from the world. How to Train Your Dragon: The Hidden World opens in theaters on March 1st, 2019. Actor Xander Berkeley has joined the cast of the CW’s Supergirl Season 4. The Walking Dead star will be playing Peter Lockwood, father of Sam Witwer’s character Ben Lockwood, the anti-alien extremist known as Agent Liberty. Supergirl Season 4 premieres on the CW on October 14th. Breaking Bad actor Aaron Paul has just joined the cast of HBO’s sprawling sci-fi drama Westworld Season 3. There is no news on who he will be playing, but his part is reportedly a series regular role. Westworld Season 3 does not yet have a release date.